The teachers of the Czech Republic and Slovakia accept congratulations on their professional holiday on March 28. Teachers' Day in these countries marks the birth anniversary of John Amos Comenius, an outstanding Czech pedagogue, theologist, and philosopher. 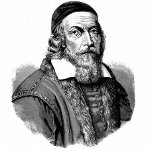 John Amos Comenius was born on March 28, 1592. He was one of the earliest champions of universal education and is sometimes referred to as the “Father of Pedagogy”. In the 1630s, he published his most famous word Didactica magna (The Great Didactic), in which he outlined a school system that is now used in many countries, including the United States. He also made a significant contribution to the general theory of education. He is considered to be the forerunner of Johann Heinrich Pestalozzi, Friedrich Fröbel, and other famous pedagogues. Comenius created a series of innovative textbooks that were written in native language instead of Latin and contained illustrations. This was an entirely new approach. In the Czech Republic, the annual competition Zlatý Ámos (Golden Amos) is held on the occasion of Teachers' Day. Students nominate the teachers whose approach most inspires and motivates them. The winners are announced on March 28.